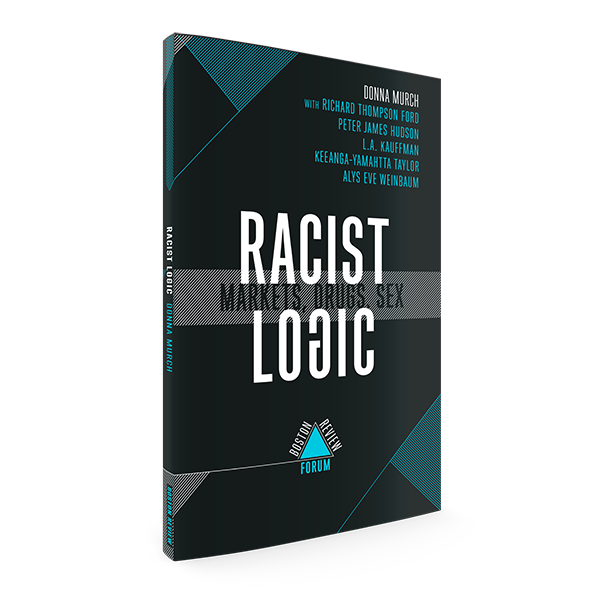 Racist Logic tackles how racist thinking can be found in surprising—and often overlooked—places. In the forum's lead essay, historian Donna Murch traces the origins of the opioid epidemic to Big Pharma's aggressive marketing to white suburbanites. The result, Murch shows, has been to construct a legal world of white drug addiction alongside an illicit drug war that has disproportionately targeted people of color. Other essays examine how the global surrogacy industry incentivizes the reproduction of whiteness while relying on the exploited labor of women of color, how black masculinity is commodified in racial capitalism, and how Wall Street exploited Caribbean populations to bankroll U.S. imperialism. Racist logic, this issue shows, continues to pervade our society, including its nominally colorblind business practices. Contributors not only explore the institutional structures that profit from black suffering, but also point the way to racial justice. Lead essay by Donna Murch. Responses by Max Mishler, Britt Rusert, Julie Netherland, Helena Hansen, David Herzberg, Michael Collins, Julilly Kohler-Hausmann, Jonathan Kahn, L.A. Kauffman, and Donna Murch. Peter Hudson, Jordanna Matlon, Alys Weinbaum, Keeanga-Yamahtta Taylor, and Richard Ford. Not ready to become a member? Buy a single copy today and we'll send you a code to apply the cost toward a future membership!